A Happy New Year to all my fellow crafters! I’m currently just four days away from delivering my twin baby boys! Things have been hectic what with organising work and my pregnancy symptoms (which was OK, right up until about a month ago!). These past few weeks I’ve barely been able to move because of the extra weight I’ve been lugging around…but all good things come to those who wait! I was planning to share a Christmas post on all the cute little things I made for my family…but I suddenly had to be hospitalised for preterm labour! I promise I’ll definitely share when everything’s back to normal..which may be a while! 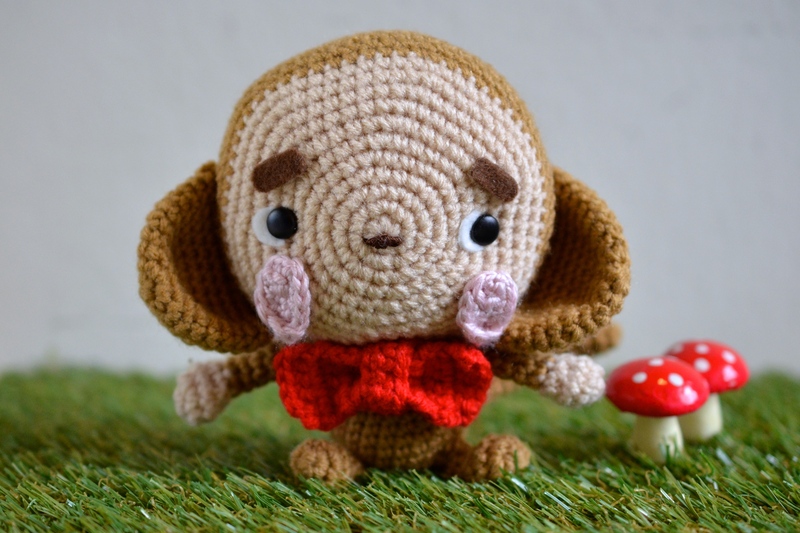 To usher in the brand new year though, I’ve teamed up with Craft Passion once again to share a free amigurumi pattern…and it happens to be a monkey to usher in the Lunar New Year! 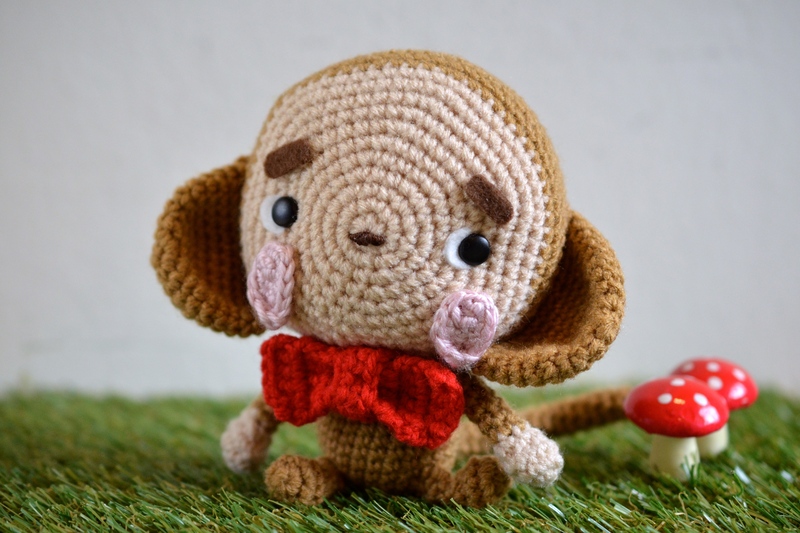 Please meet Daikichi the fortune monkey! A little cheeky…a little innocent…that’s who Daikichi is on most days. His name means “big fortune” in Japanese…and I expect him to bring everyone prosperity and wellbeing in 2016! Check out the Daikichi free amigurumi pattern here. I may not be able to update my blog for a while but please do hang in there! Do follow my continued amigurumi adventures on my Instagram @amigurumei as I will surely be updating more through that channel. I’ve made some cute baby rattles and baby hats that I can’t wait to bestow upon my boys! I’m currently working on a sleeping baby dinosaur amigurumi…I guess it’ll probably be my last amigurumi project before I become a mommy! Here’s another link to help you find the Daikichi free amigurumi pattern.